Alberta’s “Renewable Electricity Act” establishes a target for at least 30% of the electric energy produced in Alberta per year to be produced from renewable energy resources by the end of 2030 up from 10% in 2016. 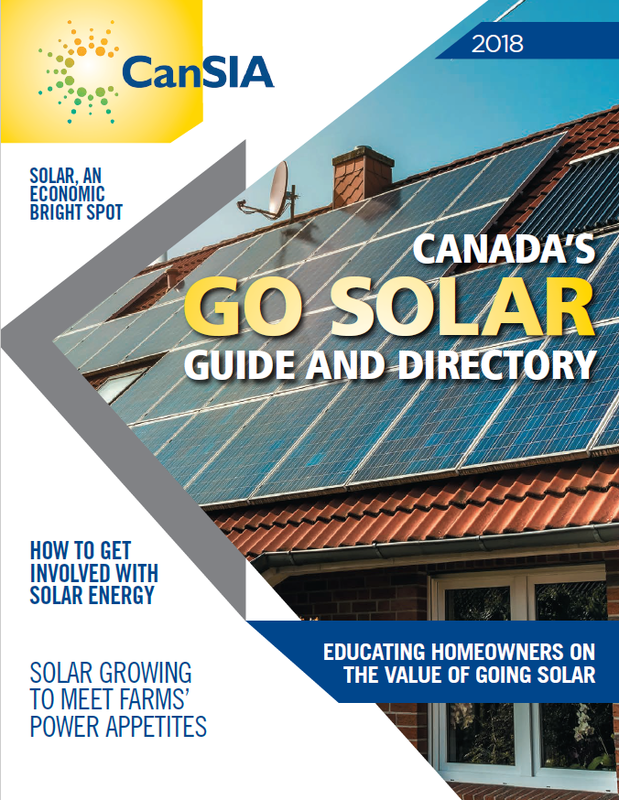 With Alberta's recent launch of a $36-million Residential and Commercial Solar Program and a goal to have solar installed on 10,000 rooftops, Albertans have more reasons than ever to install PV panels on their homes and buildings. CanSIA is working with our members to ensure that Albertans find the expertise and help they need to make the most of this opportunity. Click here to learn more about the solar program eligibility. Be the first know, sign-up for CanSIA's E-News. CanSIA's Member Directory is widely distributed to members of the industry and public alike. CanSIA’s submissions have been prepared in response to calls for consultation by government and public agencies, as well as for use in our advocacy activities. Here you will find a selection of our submissions on topics including how to structure procurement programs to how climate policy can support solar energy technologies.